This is to inform you that Banks are closed on March 27, 2009 on account of Gudi Padwa. 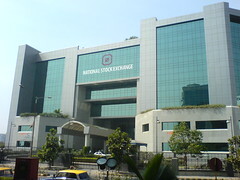 Kindly note that shares bought by the client on March 26, 2009 should not be sold on March 27, 2009 as trades done on both these days will be settled together on March 31, 2009. Also, please note that the pay-in schedule for stocks sold on March 26, 2009 and March 27, 2009 has changed to 10.00 a.m. and 2.00 p.m. respectively.